Many men experience weakness in the pelvic floor causing urinary incontinence or post-void dribble. A physical therapy program consisting of behavior modification techniques, biofeedback, and an exercise program to improve strength of the pelvic floor, hip and core muscles can address these symptoms. The nature and treatment of BPH can cause many symptoms including urinary hesitancy, dribbling, weakened urine stream, incomplete emptying of the bladder, frequent urination, and urinary incontinence. Specialized treatment techniques including biofeedback, behavior modification techniques, and a specially designed exercise program can improve these symptoms. Treatment for these two health concerns can include surgery, possible radiation and/or chemotherapy. 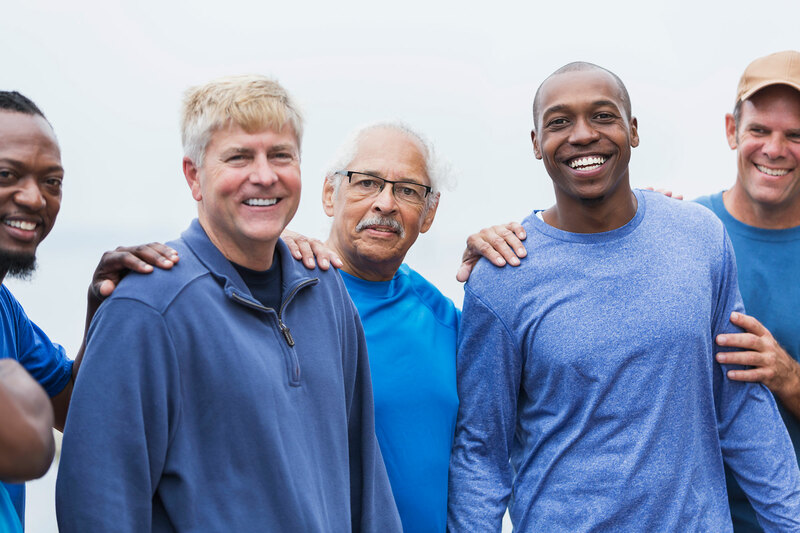 As a result of treatment, men can experience weakness, urinary incontinence, or lymphedema. Our physical therapy staff can develop an effective, graded exercise program to improve overall strength and functional endurance, as well as to improve the strength of the muscles that support the pelvic organs to reduce incontinence. In addition, biofeedback and other management techniques are tailored to each patient’s specific needs. is also available. See our Lymphedema Management page for more details.